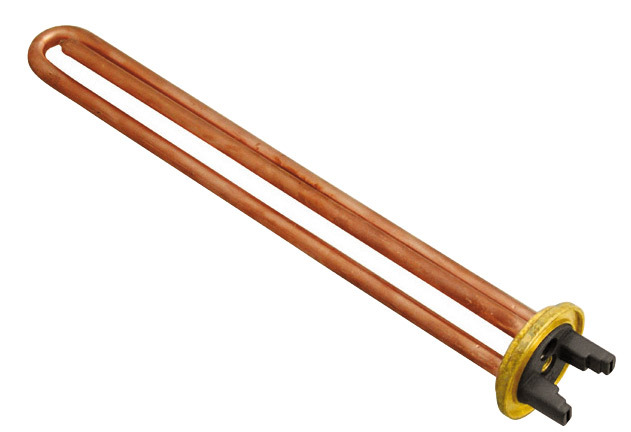 Industrial electrical resistors for a perfectly controlled heating water in harsh environments. The production of industrial electrical resistors is a know-how of our company for a long time, and allows us to produce the best materials of Italian production chain. This allows to obtain a product of excellent quality and long life. In fact, the purity of the copper used for the construction of industrial electrical resistors favors the resistance to the action of impurities present in the water to be heated. Another fundamental component for the correct operation of industrial electrical resistors is also made in our factories and is the control thermostat, a device that must be mounted directly on the resistor and manages its power according to the temperature. Made of technopolymer, its operation is managed by a bimetallic plate which, upon reaching the desired temperature, controls the passage of current. 31/03/2013 Electrical resistors' characteristics The electrical resistors are used to heat up fluids, such as water, inside boilers or water heaters and work at relatively low temperatures.